The Enterprise 'E' (NCC-1701E) was (will be) a Sovereign-class cruiser that was built to replace the Galaxy-class Enterprise (NCC-1701D) that was lost, not once, but twice in a 'Lost in Space' styled crash in the move "Star Trek Generations." Unlike the Enterprise D, the Enterprise E is the sport model of 'contemporary' starships. Its sleek design gives it the appearance of high speed whilst standing still. AMT (Round 2 Models) has reissued this sleek model of the Enterprise 'E' as they are also working through the catalog of other Star Trek kits that have been off the market for some time. In the case of this kit, prices had started to soar in the collector's market for this kit because it has been unavailable. Out of the box, this kit is a quick build. You'll spend more time painting and applying decals than building. The decal sheet in this release provides an extensive number of markings, especially for the rear section of the 'saucer'. The instructions walk you through the various colors on the hull to replicate the general look of the starship. 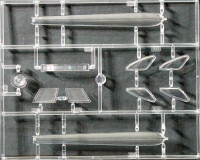 There are a number of aftermarket companies that produce amazing details and options for kits like this one. There is at least one decal sheet for this kit available now that provides the hull details right down to the Aztek patterns. There are generic starship lighting kits for the warp and impluse engines as well as the marker lights but now that this kit is back, I suspect we'll be seeing lighting kits, photo-etched details, paint masks and other nice options tailored for this release. You can keep a eye on what's available at CultTVman's Hobby Shop. 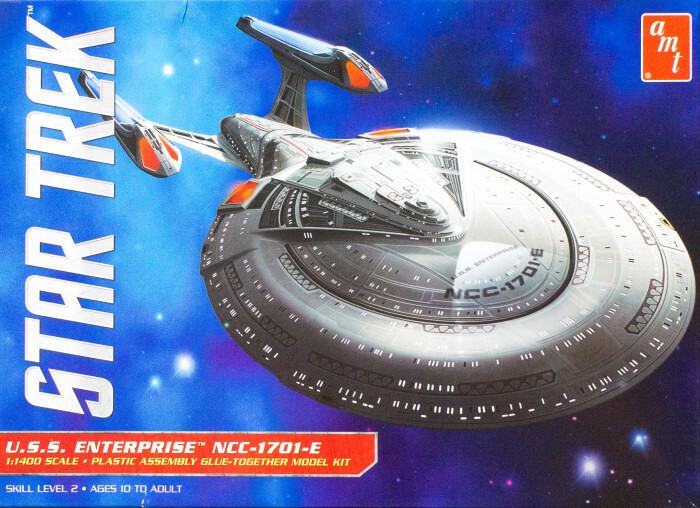 Whether you want a simple project or a Trekkie's dream model, the USS Enterprise NCC-1701E is back on the market and no longer do you have to contend with collector's prices to add this vessel to your collection.